Graduated with distinction from Southern California College of Opometry in 1989. 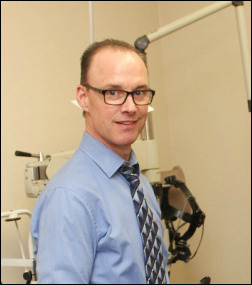 He has been in practice in Oroville since 1989 providing thorough examinations to meet the vision care of his patients. He is a member of the American Optometric Association, California Optometric Association, Golden Empire Optometric Society as well as active in church and community. Dr. Carlson professionaly and compassionately takes care of all eye health care needs as well as low vision patients. He offers full examinations and training on all appliances that best suit the patients needs. He manages pre and post operative care to patients that recieve lasik and cataract surgery. Dr. Carlson makes a point to stay up to date with continuing education and on all equipment that will assist in the best care possible for each patient. Patients have been known to say, "This is the most thorough eye examination I have ever had". Debra has been a part of the practice for over 20 years. She has completed many hours of continuing education courses and loves to put her knowledge to use to help patients feel like they've received wonderful service! 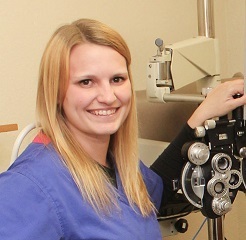 You will see Courtney and her friendly smile when she does all of the pre-examination testing and assisting Dr. Carlson with your eye health examination. She is always willing and ready to help your experience with Carlson Optometry,Inc. be a pleasant one. 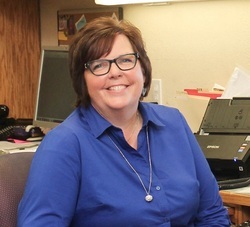 She is very knowledgeable and happy to be a part of your eyecare experience. Maile is our front office patient coordinator. She is the first person you will see with a friendly smile and the knowledge you need to get ready for your eye health examination. She assists with obtaining insurance authorizations and keeping the flow of the office smooth and accommodating. She is also proficient in American Sign Language. Maile has also completed many hours of education to provide patients with knowledge and professionalism when they arrive at our office.